In both Soviet and modern Russia a multitude of assorted aircraft have been used for test and research purposes - primarily for verifying new avionics, systems, and weaponry. The use of systems being tested was not limited to aviation as aircraft were also utilized for other purposes including testing components of ballistic missile systems. In addition testbeds for landing gear, ejection seats such as the An-12M LL and Su-29KS, refueling systems, and helicopters modified as rotor system were created. Civil research aircraft, such as the An-12BPTs 'Tsiklon' weather research aircraft and IMARK geophysical survey aircraft are also given due attention. The MiG-27LL and MiG-29KVP aircraft used for testing conventional take-off and landing technologies during the Soviet CTOL aircraft carrier development program are also examined. 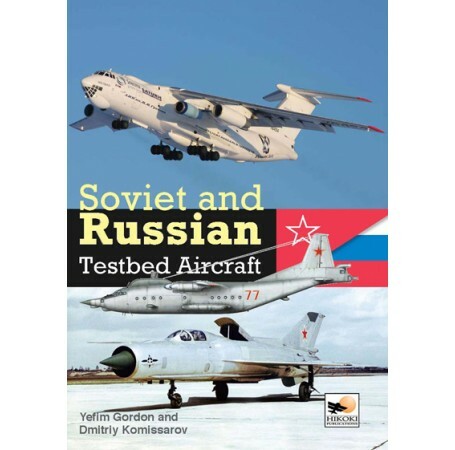 Comprehensive details of each aircraft are coupled with information on the test centers from which these testbeds operate including the M. M. Gromov Flight Research Institute in Zhukovskiy, and the Air Force's 929th State Flight Test Centre in Akhtoobinsk. More than 500 photographs, line drawings, close-up views of tell-tale 'bumps and bulges' and color profiles illustrate the aircraft providing a wealth of information for the historian and modeler alike. "This book gives us a well documented and researched look into an area of aviation that is often overlooked. The authors know their subject and do a good job conveying that knowledge! 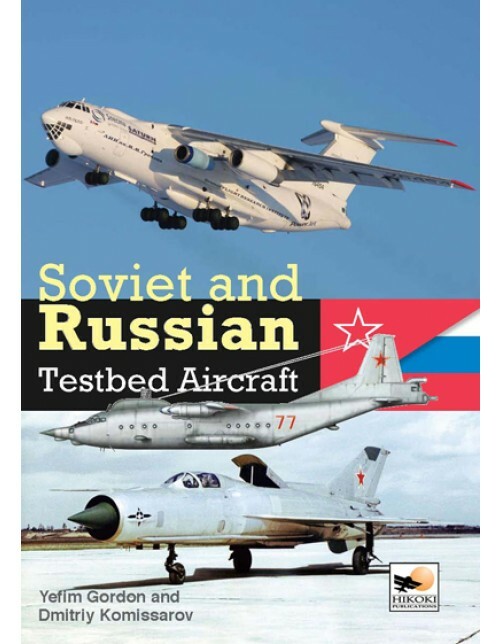 This book would be a good addition to the shelf of the aviation historian, Soviet and Russian aircraft enthusiast, anyone with an interest in research aircraft as well as modelers who are looking to build something different than your standard civil or military aircraft! I recommend this to all of the above." "This is by far the most comprehensive book to have ever been written on the subject. A book that I know you will enjoy and one I can easily recommend to you." "It is important to highlight that this is more a volume for serious aviation enthusiasts and historians than a modelling reference. It will, however, certainly give some solid foundations for scratch building or conversion future projects. If you wish to expand your library to cover some of the more esoteric types or have an interest in developmental aviation then this volume should be considered an essential addition."